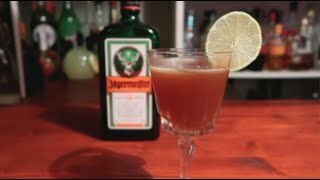 Seen it in a Jägermesiter brochure, sounded weird, tasted fantastic! 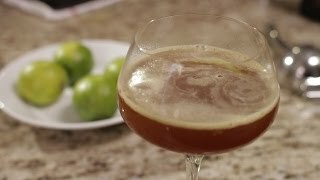 Shake with ice, strain it into a chilled cocktail glass. Add 1 smaller cube of ice if desired. As always try to use freshlime juice and avoid sour mix. Use rich syrup, (2 cups sugar, 1 cup water) or double amount simple syrup (1 sugar-1water). If you don't have syrup at home, substitute 1 teaspoon of sugar for the 2 teaspons of rich syrup. 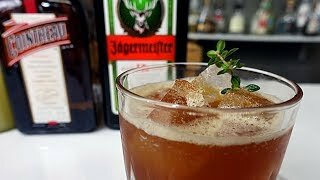 Jägerita Cocktail Recipe - Jägermeister and Citrus actually tastes THE BOMB! !